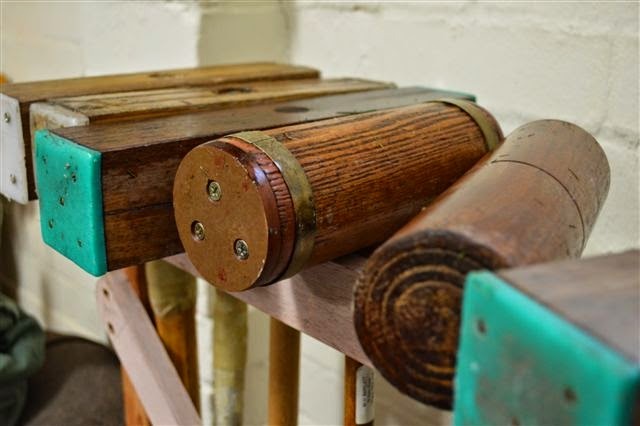 Croquet, the modern form of th ancient recreation favored by Royalty, has a devoted band of followers in Lithgow who are determined to promote the sport. 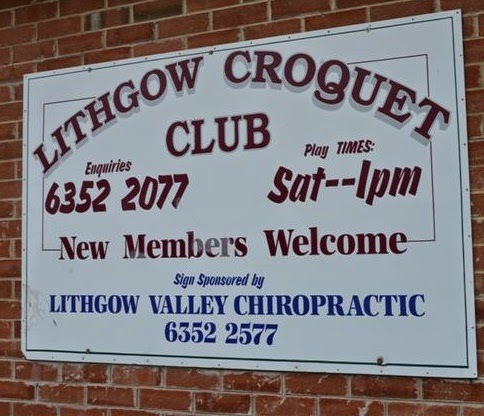 In the 10 years since it was formed, the Lithgow Croquet Club has freed itself of all debt on its club rooms and greens at the Glanmire oval, and is now seeking new members. 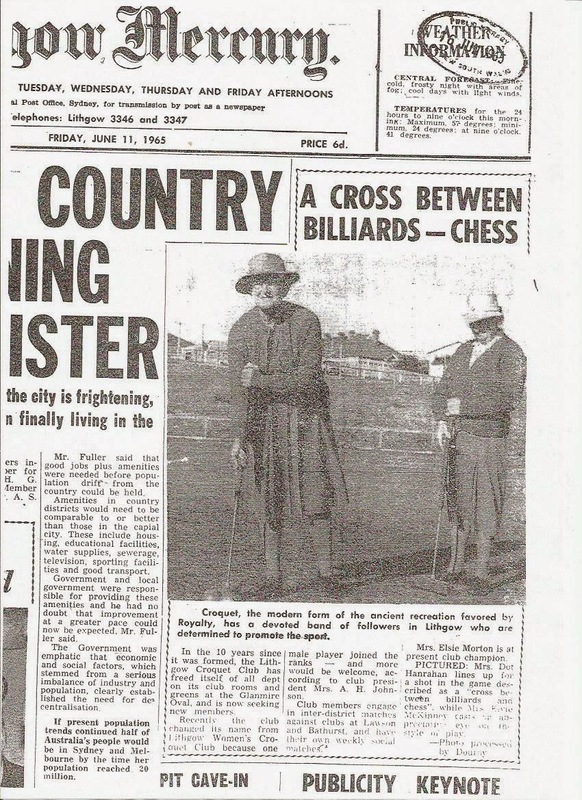 Recently the club changed its name from Lithgow Women's Croquet Club because one male player joined the ranks - and more would be welome, according to club president Mrs A.H. Johnson. Club members engage in inter-district matches against clubs at Lawson and Bathurst, and have their own weekly social matches. Mrs. Elsie Morton is at present club champion.